When it comes to health don’t follow the masses, look to the elites to see what they are doing. Ever notice our Senators, Medical Professionals, and the Rich 1% of America all push things like Obama Care, Genetically Modified Food, Flu Shots, Fluoridated Water, Chemotherapy, and yet, they do not use it themselves? It is these elitist people who can afford to eat all organic diets, follow alternative health solutions, and exempt themselves completely from what is prescribed for the rest of us. It would seem Big Business and Big Pharma want to keep us all sick enough to keep us as customers repeatedly buying their toxic products in order to maintain some semblance of health. Alternative Medicine has always been elite and suited for those with the time to research, get self educated, and pay out of pocket for items that are not covered by any medical insurance plan. For years the alternative health programs were followed by Senators, House Representatives, Movie Stars, Medical Doctors, and even the Pope, when their methods were kept a secret from most of common society. For instance, using frequency medicine to boost the immune system is a well kept elitist secret. More energy is put into suppressing the information than will ever be put into educating and sharing the advantages of frequency medicine. Using the benefits of electricity to maintain wellness has a long history of over 100 years starting with discoveries by Nikola Tesla. 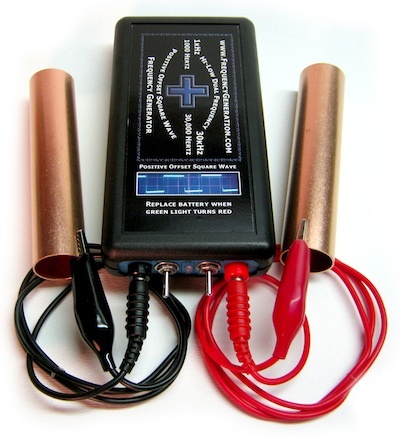 When working on devices to perfect radio transmissions, Tesla noticed that high frequency RF fields were healing assistants of various random infections and ailments. 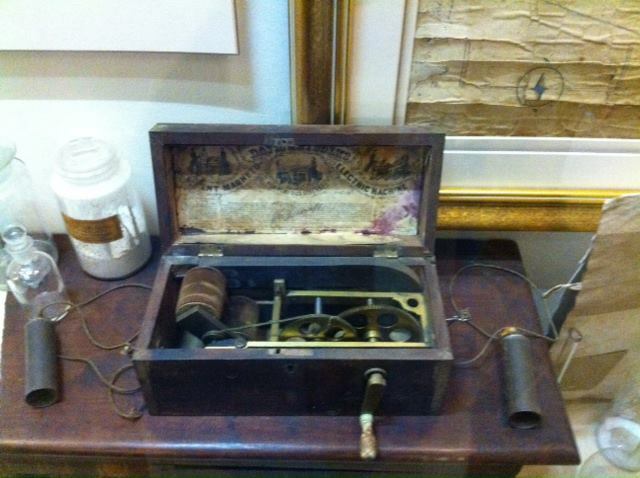 A turn of the century medical practice known as Diathermy was invented from that discovery. The phenomena was studied further by scientists like Georges Lakhovsky who wrote about amazing success with fighting cancer using multiple wave oscillations. 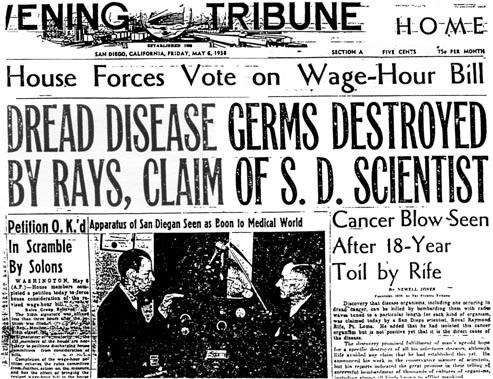 The research continued on with California scientist Royal Raymond Rife who invented the Dark Field Microscope so he could watch living microbes. 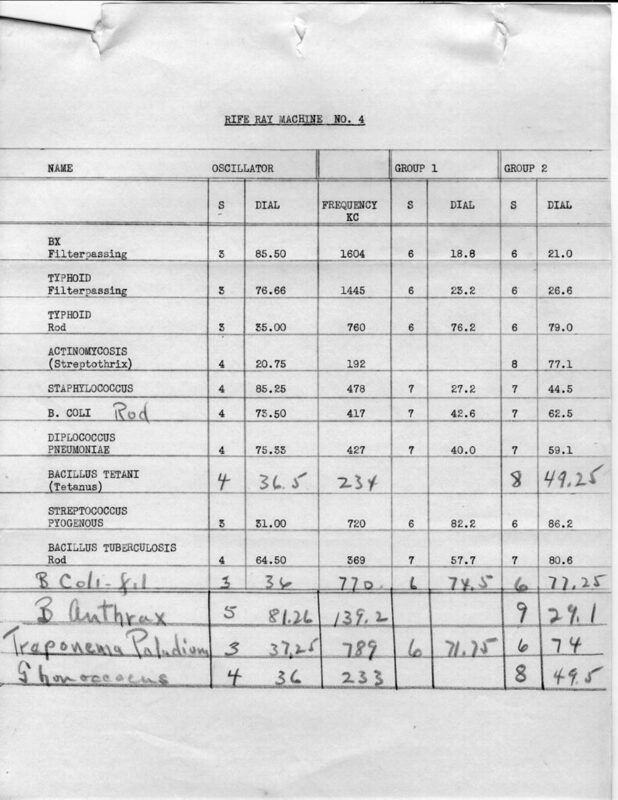 He would subject each pathogen under his microscope bombarding them with different frequencies until he discovered which specific frequency destroyed each pathogen. His list of Mortal Oscillatory Rates became a standard for many years in frequency medicine. Now with the advance of Integrated Circuits, expensive devices that would take up an entire room are now in small hand held devices that are affordable for anyone to own. Dr. Hulda Clark discovered that any Positive Offset square wave within a certain frequency range would kill many pathogens at once, and the Hulda Clark Zapper was born. No longer did patients need to use a large range of specific frequencies for hours at a time, because the Positive Offset frequency of a zapper could destroy them all at once as written by Hulda Clark in all her books. So why doesn’t the world know more about this information? Industry has embraced the technology, and many pathogen killing frequency based patents exist. Salmonella frequencies are used to detect bad eggs in one patent. Even the US Post Office irradiates mail to kill anthrax and other possible pathogenic contaminants found in the mail system to protect the recipients and workers. Some countries with socialized health care have licensed the zapper for over the counter sale for post operative infection. If a zapper kills germs in those countries, it will kill germs elsewhere. So why does this information remain unstudied here in the US? For the most part it is because the technology is Public Domain. Big Pharma is run as a for profit business, and they must be able to monopolize a product to make it worth the $600 million dollar ten year double blind study. To license a medical device would cost that much for each pathogen studied, and then because it is Public Domain, the research would simply be a financial loss due to the inability to monopolize the Public Domain idea. So the highly educated, rich, and powerful will be the only ones turning to these effective solutions while the rest of us take their expensive drugs paid for by their insurance and administered by their hospitals. Ironic at best, criminal at worst. Don’t be fooled by the system. Get a few books by these scientists listed above. Learn what the very rich and powerful already know. Health is wealth. The only way for information like this to spread is by word of mouth. I have personally used these methods since 1996 and offer my experience in hopes it will help others. I am not a doctor, so these statements are not intended as medical advice. 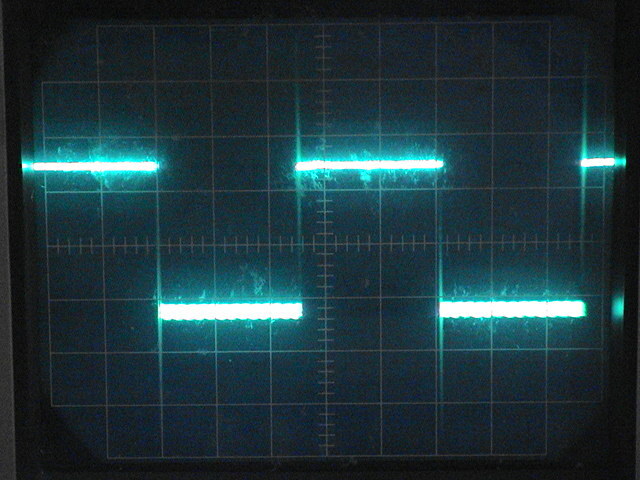 This is simply educational information on the long history of frequency research. These statements have not been evaluated by the US Food and Drug Administration. Lots of folk have asked me how to zap a pet. Pets can’t hold copper handles, and it’s hard to work the copper handles through their fur to make contact with their skin. Dr. Hulda Clark discovered a way to send the frequency of the zapper through a speaker instead of using copper handles. A North Pole Speaker Box is powered by the low 1 kHz setting on the Dual Frequency Zapper to make a Pet Zappicator. 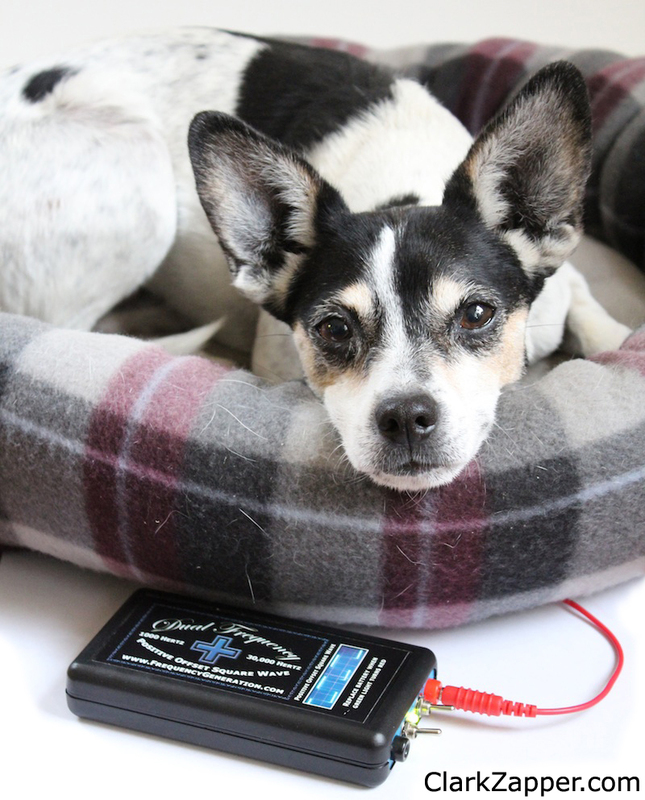 Simply place the speaker box under your pet’s bedding and turn the unit on. Be aware that magnets reverse polarity of any metal it is near, so be sure to remove all metal collars and tags, and never use the unit inside a metal kennel. Start out slow by zapping your pet for 3 minutes or less per day, and slowly move up to 20 minute sessions. Be sure to share your experience with your veterinarian, we’re sure they’ll be interested. Dr. Clark also published a very effective Herbal Pet Parasite Cleanse which is reprinted in The Day Book, a free PDF download.